At the end of my first two novels, you’ll find glossaries. 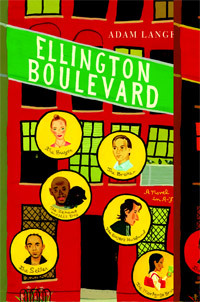 At the end of this one, you’ll find lyrics for a musical written by Miles Dimmelow and Gigi Malinowski, two characters in ELLINGTON BOULEVARD. After I was done with the novel, I asked two incredibly talented songwriters to put my lyrics to music. Here is what they came up with. The music to “Bing! Bang! Boom!” (hear a snippet open the ELLINGTON BOULEVARD TRAILER) about the Manhattan real estate boom and “Will You Love Me When the Boom is Over (A Mortgage Broker’s Plea”) was written and performed by Jeff Lodin. The music to “Too Many Books,” presented here in a final version and an original, lengthier demo, is written and performed by David Friedman. Will You Love Me When the Boom is Over? Jeffrey Lodin (Composer) co-authored and composed DISNEY’S DOUG LIVE (co-book & lyrics:William Squier), the first original book musical produced in Disney World’s history. Songs from the score were featured at the 1998 International Children’s Festival and in the sound track for the Disney animated feature, DOUG’S FIRST MOVIE. He has also written songs for the Disney Channel’s P.B. & J. OTTER. REBELS 1775, a musical about the birth of the American Revolution (co-book: John Allen, Mana Allen & William Squier, co-lyrics: J. Allen & W. Squier) premiered at the Starlight Theatre in June, 2001. REBELS 1775 has also been produced by the Spirit of Broadway Theater in Norwich, Ct. -- where it holds the distinction of being the highest-grossing new musical in the theater’s history. TOP OF THE HEAP (book & lyrics: William Squier) was featured at The New Voices in the HeartLand Festival 2000; received a workshop at Connecticut’s Curtain Call, Inc., and was presented in concert readings at various venues including Theatre Building Chicago, and was showcased in November, 2006 at the Cardiff International Festival of Musical Theater. In 2007 the show won the Director’s Choice Award from the National Music Theatre Network, and was showcased at the New York Music Theatre Festival. It also had a production at the Spirit of Broadway Theatre, and a reading at the York Theatre in New York. A HUNDRED YEARS INTO THE HEART (book: Richard Vetere, lyrics: William Squier) was produced for the inaugural New York Musical Theater Festival and songs from the score were presented in the Broadway Bound concert series at New York’s Merkin Hall. The show was produced regionally by the Spirit of Broadway Theater, where it received seven audience choice awards including Best Score and Best Production of the Year. ABOUT FACE (book & lyrics: David Arthur) was first recognized by the Dramatist’s Guild’s New Musical showcase of 1993. It was part of the Nat’l. Alliance of Musical Theatre’s 1997 New Works Festival. ABOUT FACE was showcased in November, 2006 at the Cardiff International Festival of Musical Theater. YOUNG ABE LINCOLN (book & lyrics: John Allen), a show for TheatreworksUSA, ran at the Promenade Theatre and enjoyed a U.S. Tour in ‘94 - ‘95. With Mr. Allen, Jeff also wrote the TheatreworksUSA musical JEFFERSON AND JUPITER. In addition to his musicals, Jeff has also written songs with David Arthur which were recorded by Tony Award winner Randy Graff and Tony nominee Judy Kuhn for the CD compilation A CELEBRATION OF LIFE. He is the recipient of the “Meet the Composer” grant from the New England Foundation for the Arts. Jeff is a member of the Dramatists Guild and BMI. With multi-platinum recordings, Broadway shows, Disney Animated Films, Television scores and a teaching and lecturing career that spans the nation, David Friedman is truly someone who has made a major mark in all areas of show business. From We Can Be Kind to Listen to My Heart, Help is on the Way, We Live on Borrowed Time, Trust The Wind and I'll Be Here With You, David has written songs of inspiration, love and hope that take on new emotional meaning in these challenging times. 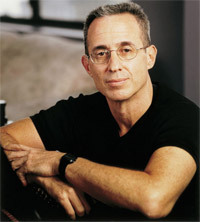 After spending several years conducting musicals on Broadway, including Grease, Joseph & The Amazing Technicolor Dreamcoat, and Song and Dance, David went to Hollywood where he was the Conductor and Vocal Arranger on such Disney classics as Beauty & The Beast, Aladdin, Pocahontas and The Hunchback of Notre Dame. This led to David's writing music and lyrics for Disney's Aladdin and the King of Thieves and scoring three animated television series (Happy Ness, Sky Dancers & Dragon Flyz) and the film Trick. David is currently also the Music Supervisor and Vocal Arranger of Broadway's Beauty & The Beast. As a record producer, David started his own company, MIDDER Music Records, and wrote for and produced all of the late, great Nancy LaMott's CD's, including the recently released Nancy LaMott - Live at Tavern on the Green. A new Nancy LaMott double CD entitled Ask Me Again, plus a DVD with 25 of her greatest performances are being released for Valentine's Day, 2008. David's songs have been sung and recorded by luminaries such as Diana Ross (Your Love - Quadruple Platinum), Barry Manilow (We LIve on Borrowed Time and You're There — featured on Barry's latest live CD,) Allison Krauss, Petula Clark, Laura Branigan, Jason Alexander, Laurie Beechman, Lainie Kazan, Leslie Uggams and many others. 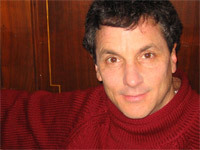 His Christmas Oratorio King Island Christmas, written with Deborah Brevoort, has had over 40 productions around the world, and his musical Chasing Nicolette, written with Peter Kellogg, opened to rave reviews at the Prince theater in Philadelphia (Where David was awarded the Barrymore Award for best score). Another new Musical, Desperate Measures, a 6 character country & western version of Shakespeare's Measure For Measure, also written with Peter Kellogg, recently had a successful run as a New York Music Festival winner and has had several productions around the U.S.
David's multi-platinum selling song Open Your Eyes To Love was featured on the soundtrack of The Lizzie McGuire Movie and he wrote the opening song for Disney's sequel to Bambi, (sung by Allison Krauss) which was recently released to record-breaking sales. David's songs have been used to raise money for charitable organizations ranging from Duke Children's Hospital to Broadway Cares/Equity Fights AIDS and Birmingham Summerfest School for the Performing Arts. His song "Help Is On The Way" has been the themesong of the Equity Fights AIDS Easter Bonnet Competition for the past 12 years. In 2003, David completed an Off-Broadway run of his revue, entitled Listen To My Heart-The Songs of David Friedman, featuring David and 5 of Broadways finest singers performing 27 of his songs. The cast CD containing a live performance of the entire show is released on MIDDER Records. The show has now been performed in eight American cities as well as in London and Australia. Having published his songbook, containing 63 of his best known songs, David will soon begin work on a solo CD and as many as 10 new posthumous Nancy LaMott CD's. Other upcoming projects include a film about the life of Nancy LaMott, a new musical with Peter Kellogg entitled Stunt Girl about the life of Nellie Bly, and a new book on "The Thought Exchange®," a method of metaphysics and human potential exploration which David created and now teaches all over the U.S.